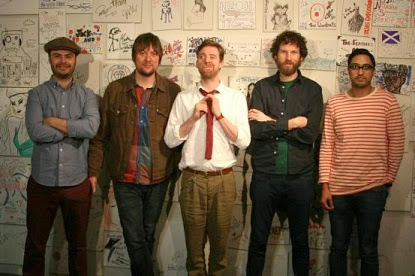 The UK's Kaiser Chiefs will be opening for Foo Fighters on their upcoming Brazil tour. Dave Grohl revealed via his Facebook page with the text written in Portuguese. "Foo Fighters now confirms the band Kaiser Chiefs as a special guest at the shows in Brazil. Don’t miss!" said the message posted. The Rick Wilson’s band return to Brazil a little less than two years after his participation at Lollapalooza in support of the "Education, Education, Education & War" album, released in March this year. A tour of the Foo Fighters will take place across the country in January 2015 and will kick off on January 21 in Porto Alegre, on January 23 in São Paulo, on January 25 in Rio de Janeiro and ends in Belo Horizonte on January 28. Tickets can be purchased at the site www.ticketsforfun.com.br and cost between R $ 110.00 (half price stands - São Paulo) and R $ 640.00 (entire premium track - São Paulo). The age classification is 16 years. Looking forward to their new tour 2015. Here you can get foo fighters tour dates 2015 list.